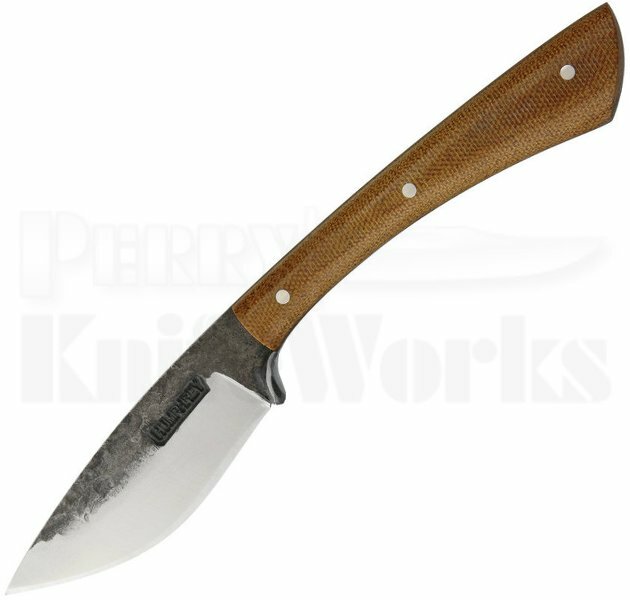 Lon Humphrey custom Muley measures 7.75" overall with a 3.25" 1095 hand forged carbon steel drop point blade. Handles on this full tang Muley are Natural canvas micarta. Includes custom brown leather belt sheath. Made in the USA.